Fifty years ago this fall, Filipino American farm workers in Delano, California, walked out of the grape fields to demand better pay and working conditions. They joined forces with a predominantly Latino farm workers union and the strike spread. This new coalition called itself the United Farm Workers, or UFW. Both a social movement and union, the UFW’s multi-year campaign built widespread awareness of the exploitative conditions under which grape-pickers lived and worked. 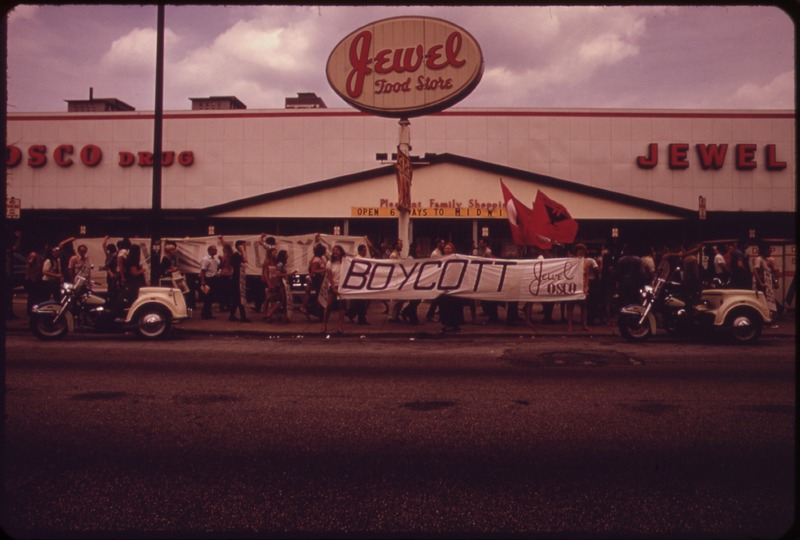 The grape strike grew to involve a nationwide consumer boycott of table grapes that connected farm workers in California fields to families across the United States. After five years of picket lines, consumer actions, hunger strikes, and nonviolent organizing, grape growers in the Central Valley signed union contracts that guaranteed better pay and working conditions. This was a defining moment for farm workers in the United States, who for decades were subject to working conditions long ago considered intolerable in other occupations. One of the many important legacies of the grape strike and boycott is the way in which non-farm-workers supported the movement. The UFW shone a light on working conditions that shocked most Americans, then created a way for families to easily, but intentionally, support vulnerable workers: don’t buy grapes. This act successfully put enough pressure on the supply chain creating economic incentives for stores, then distributors, then table-grape and wine companies, and then growers to communicate with workers. Though the national farm worker movement has grown and made some gains, farm workers remain among the least visible and least politically represented members of our communities. Even with heightened popular interest in how and where food is grown, farm workers are left out of most conversations about improving local and global food systems. “Agriculture” conjures images of either small-plot farmers tending fields with hand tools and peddling exotic tomatoes at the local weekend farmers’ market or massive combines cutting paths through Middle America. But “agriculture” also involves a lot of people who are not farmers. This other actor, the “farm worker,” is essential to the production of much of our food and other agricultural products, yet is dangerously left out of our conversations and many of our most important laws. It’s not just a few scattered cases of farm workers being denied the rights that most of us assume are universal in this country: farm workers are specifically excluded, for example, from the National Labor Relations Act and important provisions of the Fair Labor Standards Act. What does this mean? For starters, farm workers have no right to overtime pay, are often not entitled to a minimum wage, can be fired for joining unions, and have no right to collectively bargain. Children as young as 10 or 12 are legally permitted to do farm work. Isolated farms, workers who often speak little to no English, and a general lack of basic protections can combine to create working conditions that are appalling and inhumane. The consequences of this extralegal aspect of farm work are felt as much in North Carolina as anywhere else. 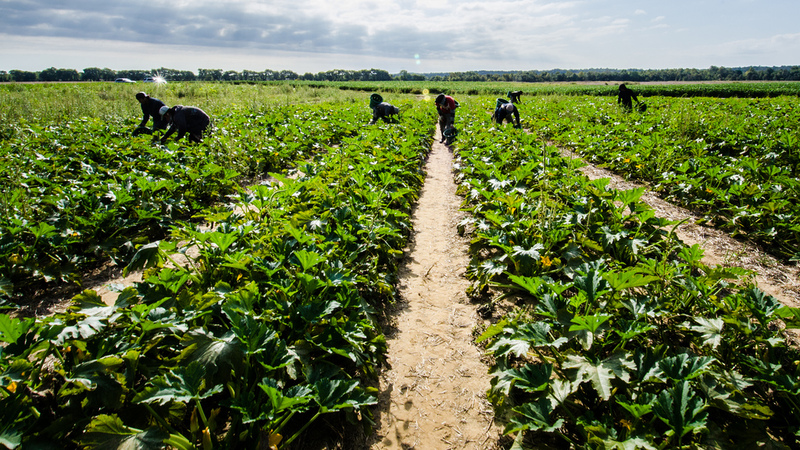 Part two of this post will introduce the farm worker movement in North Carolina and describe ways in which consumers can play a role in supporting the basic rights of farm workers. About the Author: Andrew Trump is a student in the Master of City and Regional Planning and Master of Public Administration programs at UNC-Chapel Hill. He focuses on community economic development.